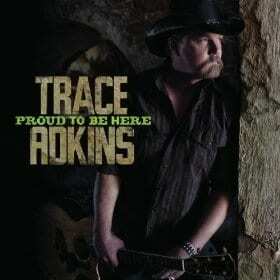 Trace Adkins is kicking off a busy release week promoting new album Proud To Be Here. He’s set for a street-date appearance on the Today Show (8/2), followed by Fox & Friends (8/3), and visits next week to Piers Morgan Tonight and Chelsea Lately. Adkins will also perform on the primetime concert special CMA Music Festival: Country’s Night to Rock, airing Sun., Aug. 14 on ABC. Adkins says his latest project is very autobiographical. Lead single “Just Fishin’” is about father-daughter bonding, so it was fitting that the video was shot at his family farm and features youngest daughter, Trinity. The Michael Knox produced track is reacting with fans and is already No. 3 on MusicRow’s CountryBreakout Chart.